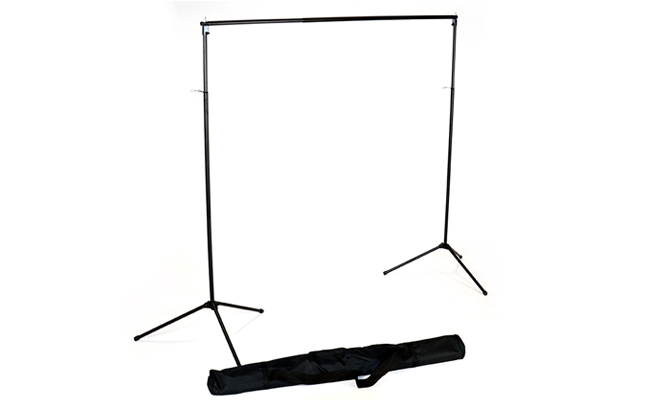 Economy Kits: come with 1, 2 or 3 5'x9' wrinkle-resistant polyester backgrounds, and a portable, light weight Economy Background Stand with carry bag for easy set up and mobility. 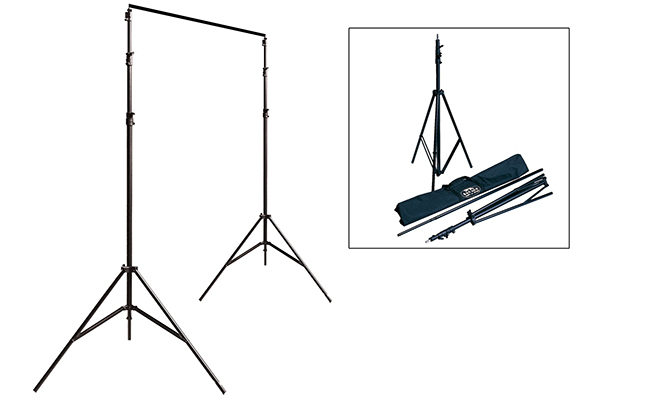 Stand features quality spring clamps for simple raising and lowering of the backdrop crossbar. 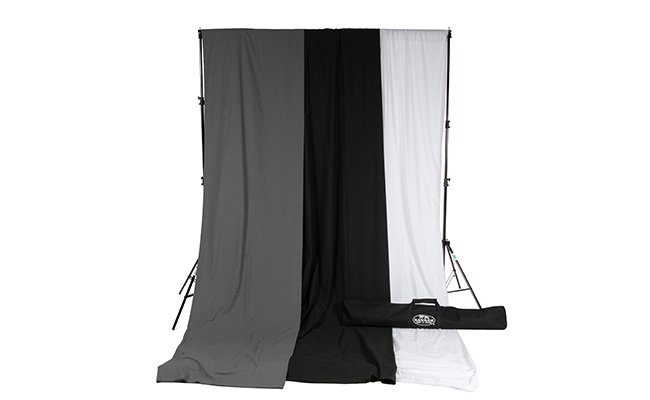 Solid Muslin Background Kits: Feature a completely portable stand (Port-A-Stand) for added versatility and mobility. 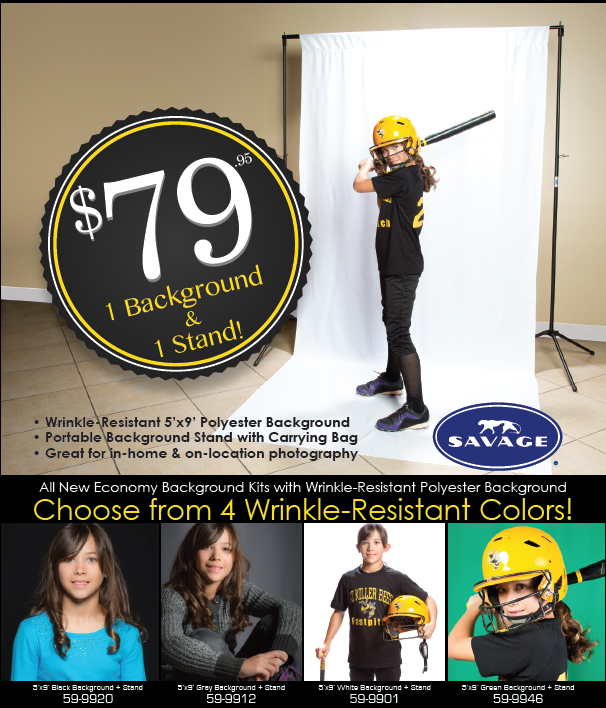 The classic muslin color options were chosen with simplicity and versatility in mind.